As you can guess, one of her cheeses came home with me that day, and out of the three she was sampling, Appalachian was my favourite. This is a raw farmstead cheese made in the mountains (2800 ft) from the milk of a grass-fed Jersey herd of cows. 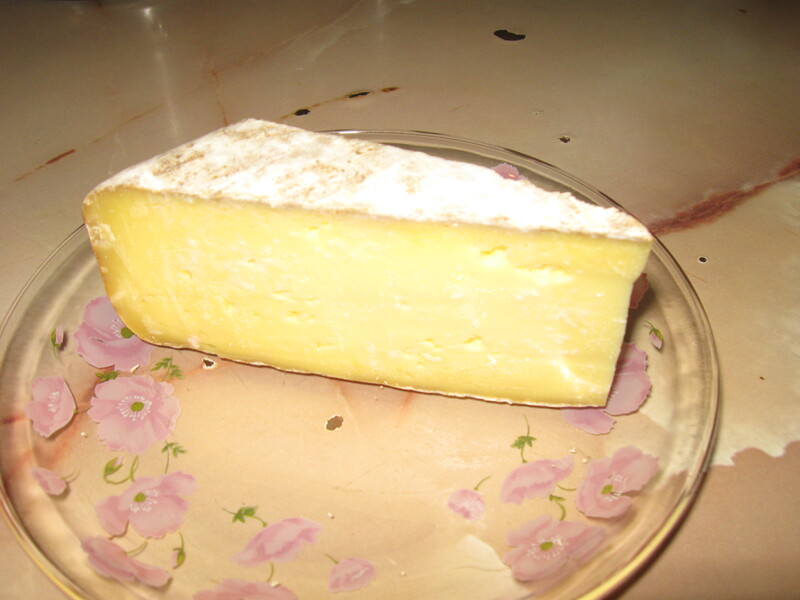 Immediately, the first tastes are buttery, the rind smells earthy, and as it is a natural rind, it is meant to be eaten. As you savour the paste (interior) of the cheese, a lactic brightness, creaminess is what I taste next. It’s an extremely eat-able cheese, I could easily eat the entire wedge. Alas, I savour it. When I eat a bite, I’m transported back to the lovely memory that was the experience of discovering this handmade cheese in Chelsea Market.